It's a good thing you're checking this site out right now! 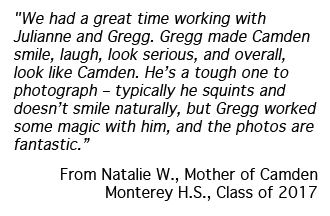 That tells me it's important to you that your senior portraits (or your son's or daughter's) look really fantastic. And yes, class of 2019 seniors are being photographed RIGHT NOW! 2) They also want the portrait to have some kind of "artistic quality" to it. That is to say that the photographs themselves to look fantastic, as well as the senior looking fantastic in them. There's a three dimensional feeling to it, and there's quality to the light. And his or her personality comes through. The portrait has what I call "SPARKLE" to it. Mistake #1 is wearing the wrong clothes! This is very normal. Even if the senior were a professional model, he or she still might not know what to wear that would help him or her look the very best in a still photo. The "Art Director" would say what to wear! The "model" would just show up, and do what he's told! The hair person does the hair. The Art Director plans everything and tells the subject what to do next. You see, most people don't know what really photographs well. They just don't know. Well, we know. That's our job. And we love it. And we're really, really good at helping you select the best clothing for your photographs - clothing that will help you look your very best. We will help you with this. Don't worry. You see, if you study Hollywood Portraiture of the stars, you begin to see how careful the photographers are about lighting the hair. Well, I've studied the best professional Hollywood photo masters - such as George Hurrell, who is responsible for many of the finest portraits ever created of the Hollywood Stars. And I'm going to use these very same techniques to create your senior portraits to help you, and your hair look really, really perfect. For example, many seniors who go to other photographers often complain that, if they have dark hair, that their hair seems to disappear into the background. Or, if they have light hair, that their hair has no "life" ordetail in the photograph. Or if their hair is brown, that it doesn't look as great as they wanted it to. It's not just how they combed or prepared it, it's how it's lit in the photograph, too! Well, that's not ever going to happen to a portrait created by me, because I'm going to take the time and the care in the lighting of your hair so it looks absolutely perfect. It's as if one of these Hollywood Master Photographers just finished photographing Hugh Jackman or Angelina Jolie, and now is going to do your portrait, and I'm going to put as much care into lighting you as they would! Now, we are terribly busy, and booked up, BUT, WE DON'T TREAT YOU LIKE A FACTORY. We understand. We won't make you feel guilty. Why? Because we've been doing this for over 25 years, and we completely understand exactly how you feel! It's no problem at all. It's not how we capture the image. It's not the camera we use. It's not the backgrounds we use. (Although we use the best of everything!) 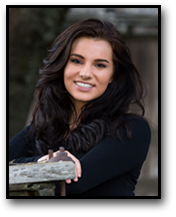 The thing that separates us from everyone else, is how sincerely we want to help you look absolutely perfect - stunning - fantastic - better than ever - in your senior photographs. Now, one of the things that separates my photography from all the other photographers in the area is that I have studied light from the true Masters of fine portraiture for over 25 years. You see, there are five major highlight areas on your face. And they must be PERFECTLY lit, or you won't look your best! However, I am really picky. I'll be very careful, and very attentive to detail. I may pick a little at your hair if something is out of place. I straighten your collar or sleeves. I straighten your shirt if it has a funny wrinkle in it. Don't worry about a thing! We'll make sure you look "like a million bucks"! We're very picky, but we don't manhandle you - and we won't drive you "nuts" with being overly picky either! In fact, I have a nickname here at the studio. They all call me "Eagle Eye." And they call me that because I'm so darn picky. Everything must be perfect before I expose the film. I'll work quickly, but carefully. However, I do want to urge you to act immediately! My schedule is already filling-up for Summer sessions for the Class of 2019! Why? Because I have such a great reputation from my past seniors I have worked with. They tell all their friends, and then they all call me, and my book just completely fills up. 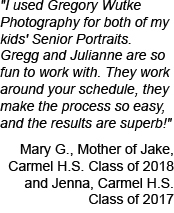 Plus, because we spend so much time with each one of the seniors we photograph, we can't photograph as many seniors as other photographers who have more of a "factory" arrangement.! 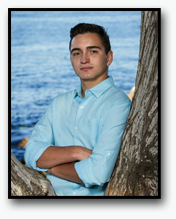 As long as you call me  just to chat  I’ll send you, absolutely free, The Class of 2019 Special Report, “Looking Great In Your Senior Portrait  How To Avoid The 11 Huge Mistakes That Ruin Most Senior Portraits” - a $15 value. It’s yours free. It goes into great detail about important issues that most seniors don’t think about. But I only have 9 of these left, so call immediately before they are gone! P.S. Call me today. We’ll just chat. No charge, no obligation, no sales talk. Don’t put it off. 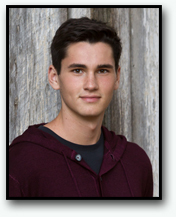 I know that at this moment, you aren’t sure about who’s going to create your or your child’s senior portraits. That’s fine. But, please understand this: I have very few session times available this Summer! 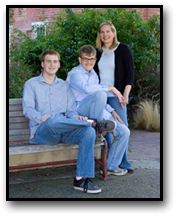 So just give me a call and we will chat about your or your child’s senior portrait session. Maybe I can save you from making a mistake. 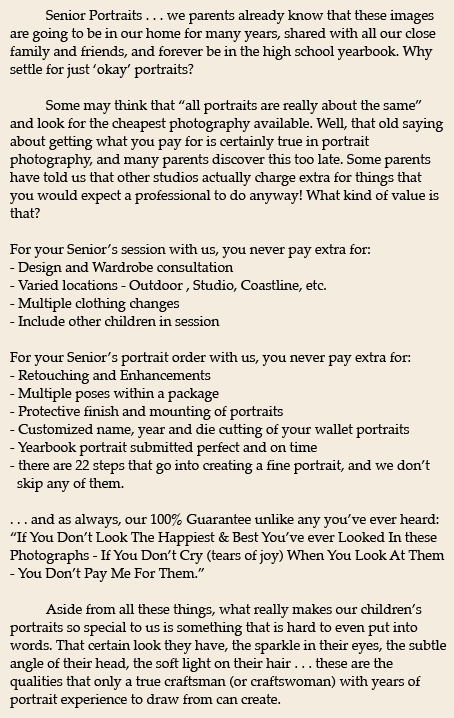 Call me just to chat and I will send you absolutely FREE your copy of The Class of 2019 Special Report, “Looking Great In Your Senior Portrait  How To Avoid The 11 Huge Mistakes That Ruin Most Senior Portraits”  a $15 value. It’s yours free, just for giving me a call. Call 375-7131 today! Call NOW . . . Our Sessions Go Fast!